The Exo Terra Betta Moss Ball helps provide crystal clear water and reduce odors. Designed to resemble its natural counterpart, the Exo Terra Moss Ball contains a special absorption resin that helps reduce many of the compounds that encourage unsightly organic matter accumulation. By absorbing and trapping phosphate, nitrite, and nitrate within its core, the Exo Terra Moss Ball helps to create ideal conditions for animals and plants. It also helps make aqua-terrarium maintenance easy. The use of additional Exo Terra Moss Balls is recommended for larger terrariums. 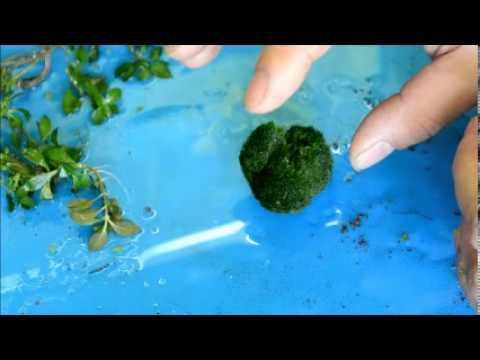 Marimo moss ball – What is it? And how to propagate?